But Mr. Chen, at 26 an award-winning musician, is using new media not only to attract new fans for himself but also to build a younger audience for classical music. 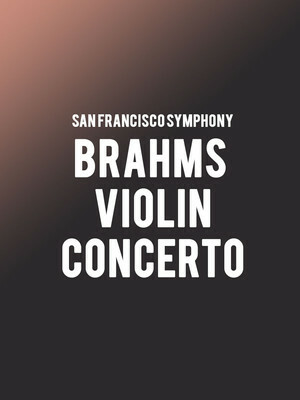 Why See San Francisco Symphony - Brahms Violin Concerto? Ray Chen represents the future of classical music. 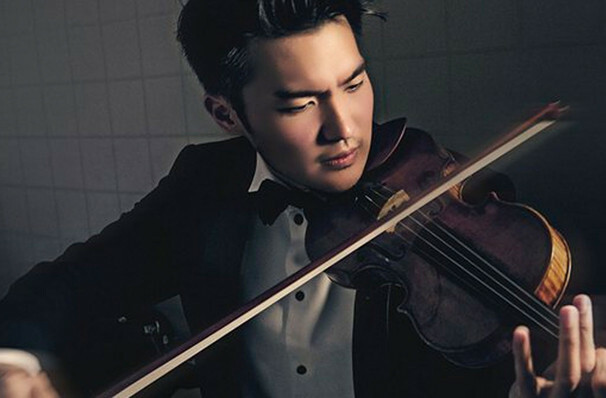 The virtuosic violinist not only plays with such singular vision and technique that audiences flock to his concerts, but the young performer has amassed an unprecedented online following, boosting a media presence that has granted him international tenure playing with the world's leading orchestras. The prodigiously talented Chen will join the San Francisco Symphony for an evening of Andrew Norman, Brahms and Prokofiev, under the direction of Slovak guest conductor Juraj Valcuha. A piece that is firmly in every world class soloist's repertoire, Brahms' Violin Concerto contains a silken Adagio with movements so exquisite its said to have brought its first audiences to tears. Sound good to you? Share this page on social media and let your friends know about San Francisco Symphony - Brahms Violin Concerto at Davies Symphony Hall. Please note: The term Davies Symphony Hall and/or San Francisco Symphony - Brahms Violin Concerto as well as all associated graphics, logos, and/or other trademarks, tradenames or copyrights are the property of the Davies Symphony Hall and/or San Francisco Symphony - Brahms Violin Concerto and are used herein for factual descriptive purposes only. We are in no way associated with or authorized by the Davies Symphony Hall and/or San Francisco Symphony - Brahms Violin Concerto and neither that entity nor any of its affiliates have licensed or endorsed us to sell tickets, goods and or services in conjunction with their events.